You can eat like a Goddess and feel like one too with this light and easy salmon salad from Recipe Runner. Place all of the ingredients for the dressing into a blender and blend until smooth. Taste for seasoning, then cover and refrigerate until ready to use. Makes approximately 1 cup of dressing. Bake the salmon according to package instructions. Fill two bowls with equal amounts of the mixed baby greens and vegetables. 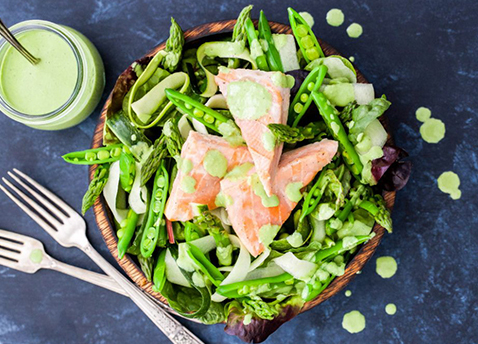 Top the salads with the salmon and desired amount of green goddess dressing. 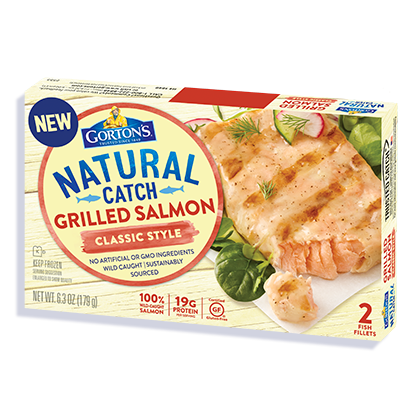 100% wild-caught Salmon expertly seasoned with a classic blend of herbs and spices.